Should the Femme Fatale Make-up look be too much for your liking for this X-mas, then try the sultry copper- bronzed smokey eye make-up look. 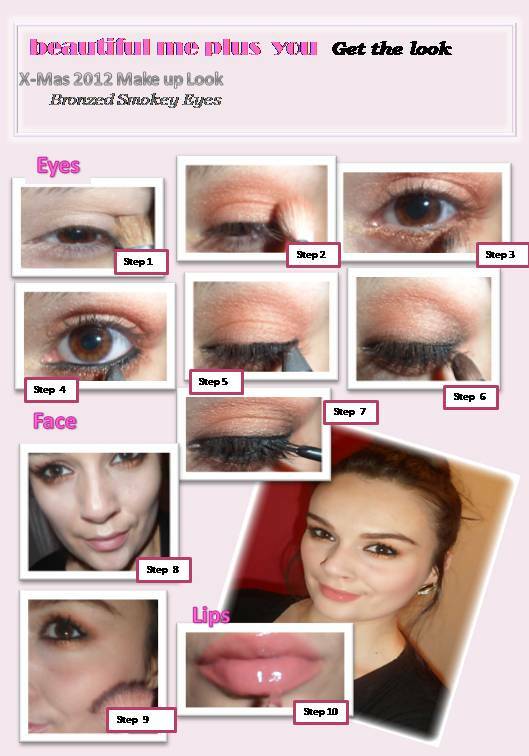 Should you have missed my other X-Mas Make-up Look suggestions, then check them out here. MAC Eyeshadow in Coppering and Amber Lights mixed together – apply to the eye lid and blend inwards and outwards. Smudge the liner with a pencil or smudger brush upwards and in circular motions. shu uemura glow on blush in M 345 –peachy coral shade- applied just under the cheekbones and blended from the temples towards the mouth in circular motion with a fan brush. Fantastic look MArina! Love the eyes and especially your skin! so beautiful! kisses!